Don't plan on giving your pockets a rest this weekend, because as usual, there's a ton of sneaker releases that are worth your money. 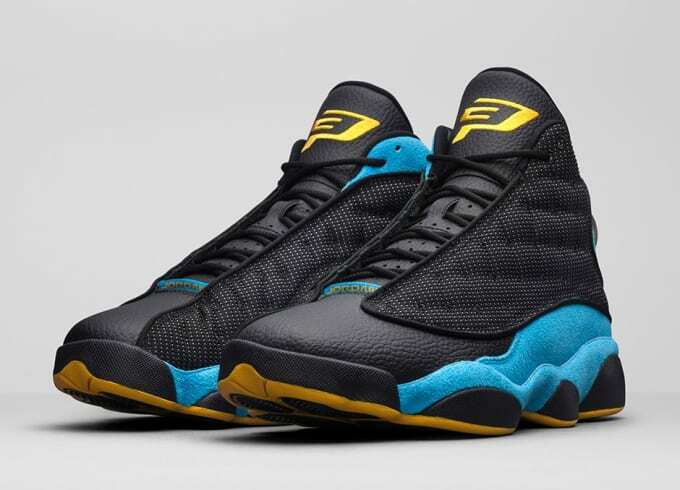 Right off the bat, Jordan Brand is bringing the fire with a public release of the "CP3" Jordan XIII player exclusives for Chris Paul. They're not going to be easy to come by, but they'll definitely be worth the effort. Meanwhile, the Nike Dunk is having a huge weekend with two releases; the first in collaboration with Sacai, as well as a spooky "Coffin" themed QS. Undefeated's got a Los Angeles-themed Cortez in store, too, and this year's "N7" Kevin Durant shoe is also dropping. Collabs are coming out of heavy too, with projects from Solebox x Diadora, Atmos x Puma, End x Saucony, and Palace x adidas, plus the aforementioned Undefeated x Nike and Sacai x Nike releases. Stay woke with A Complete Guide to This Weekend's Sneaker Releases below.